Leigh Ann graduated from TJC's Dental Hygiene Program in 2007 and began working at Copeland Creek Dental in 2008. She enjoys developing relationships with each and every patient as well as teaching them the importance of good oral hygiene. In her time away from work Leigh Ann enjoys spending time with family - her husband of fourteen years, Vernon and their three boys, Keithan, Mason, and Carson. The boys keep them very busy with their love for sports. When not involved with family activities Leigh Ann loves to read and shop. Tiffany and her husband, Eric, enjoy the family life with their two kids, Emery and Evan. During their free time, they enjoy outdoors, spending time with friends, watching their kids play in sports, and vacationing at the beach. Cylisa Moore, RDH is a licensed Dental Hygienist, graduating from Tyler Junior College in 2004. Cylisa has practiced Dental Hygiene in Tyler and in The Colony and has found a home at Copeland Creek Dental. Cylisa is married to her husband Jason who works for the Tyler Fire Department. Together they have one daughter, Emma-Grace. In her free time Cylisa enjoys spending time with friends and family and her animals, a Labrador named Jacy and cat named Italix. Giselle joined our team in 2016 after graduating with her Bachelor of Science in Dental Hygiene through Tyler Junior College and Texas Women's University. Giselle truly finds joy in caring for her patients and helping them keeps their gums healthy. 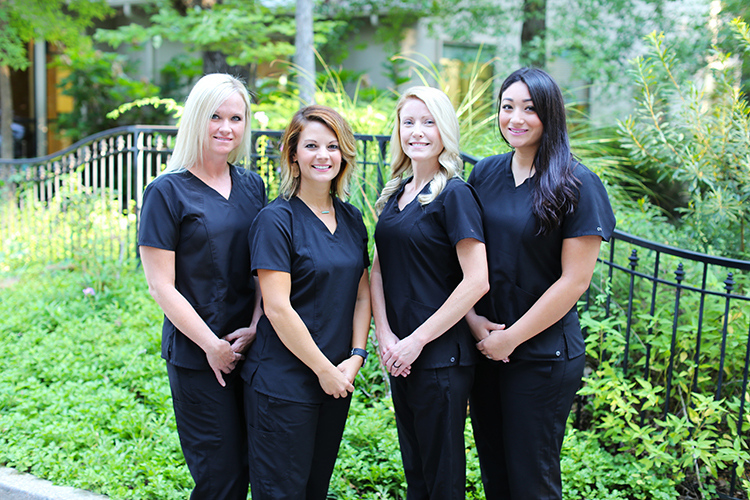 She says her favorite thing about working at Copeland Creek Dental is that 'as an office we pray for one another and give each day and our talents to the Lord.' Giselle is married to her high school sweetheart Gustavo and together they have a lovely daughter Armani. When she is away from work she loves to shop, pinterest, and socialize.